The National Gas Transmission Company Transgaz SA informs that today, 27 October 2017, it has signed at Luxemburg with the European Investment Bank a Finance Contract for the amount of EUR 50 million for the financing of the BRUA project. The European Investment Bank was represented at the event by the Vice-President, Mr Andrew McDowell, and Transgaz SA, by the Director General, Mr Ion Sterian, and representatives of the executive management of the Company. The event enjoyed the participation of Mr Gheorghe Șimon, the Romanian Ministry of Economy, and Mr Thomas Gerassimos, Deputy Director-General of DG ENER, the European Commission. BEI is granting to Transgaz SA, the Romanian gas transmission company, EUR 50 million for the financing of the construction of a new European gas transmission corridor, enhancing security of gas supply and diminishing energy dependence, enabling diversification of supply routes and sources. This operation is supported by the European Fund for Strategic Investments (EFSI) within the Investment Plan for Europe (IPE). The new pipeline represents the first phase of the Romanian gas pipeline section which will connect Bulgaria with Austria via Romania and Hungary (BRUA). The Transgaz BRUA gas interconnection project, estimated at over EUR 500 million, obtained a EUR 179 million grant from the European Commission under the Connecting Europe Facility (CEF). The financing mechanism, set up in 2013, is a key instrument for promoting growth, creation of workplaces and ensuring competitiveness by investing in infrastructure at the European level. This supports the efficient development of interconnected transEuropean high-performance sustainable networks in the domain of the transmission, energy and digital services. The BEI funds will finance the construction of a 478 km gas pipeline between Podisor and Recas and of three compressor stations at Podișor, Bibesti and Jupa in Romania. The project is developed in the context of the necessity to diversify the gas supply sources of the European countries, to increase safety of gas supply to our country by providing access to new sources, the transmission of Caspian gas to the Central European markets, ensuring 1.5 bcm bidirectional transmission capacity in the Bulgaria direction and developing a 1.75 bcm transmission capacity in phase I and 4.4 bcm transmission capacity in phase II in the Hungary direction. The Vice-President of BEI, Mr Andrew McDowell, declared at the event that `This strategic project implemented within the Investment Plan for Europe, will interconnect the gas transmission infrastructure in Southeast Europe and Central Europe and will eliminate dependence of Southeastern European countries on a single gas supplier. This will improve the security of supply for these countries, allowing access to potentially lower price gas for a better price convergence and transparency, thus reducing consumption vulnerability. It will have a significant impact on employment – approximately 4 to 5 thousand workplaces created during the construction phase and 300-400 workplaces during the operation of the pipeline.` In the same context, Mr Gheorghe Șimon, the Romanian Ministry of Economy, stated that `the Romanian Government welcomes the conclusion of the finance contract, the first contract signed by a Romanian entity within the Investment Plan for Europe (IPE), which benefits from a guarantee from the European Fund for Strategic Investments (EFSI). In my capacity as Minister, I put my trust in the perspective Transgaz management and the European Investment Bank opened up. As representative of the Romanian state among Transgaz shareholders, the Romanian Ministry of Economy supports the upgrading of the national gas transmission system and the EIB funding of some BRUA works is complementary to the Government’s initiatives to urge investments in infrastructure development projects.` Mr Ion Sterian, the Director General of Transgaz, mentioned that `This is an outstanding event for our company and for other Romanian and regional gas market players. The finance contract Transgaz signed today with the European Investment Bank explicitly indicates that we are earnest and the conditions for the optimum construction of the BRUA project on the territory of Romanian were created, under the agreed terms. The European Investment Bank has confidence in Transgaz`s ability to successfully complete such project, significant for the development of the EU gas transmission infrastructure. We expect this financing to have a positive impact both in terms of achieving local and national synergy for the construction and operation of the pipeline and of boosting confidence and solidarity among the European countries to benefit from the BRUA project.` Following EFSI guarantee, granted by the European Union, BEI supports the enhancement of gas supply and diversification in Europe. The BRUA project, sustained by the Government of Romania, is a strategic project for the country and the entire region, which aims at re-launching industry horizontally. 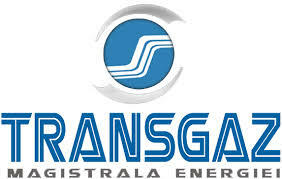 Transgaz SA Mediaș is the sole technical operator of the National Gas Transmission System (NTS) and ensures the achievement of the national strategy goals for internal and international gas transmission, dispatching, research and design, in conditions of efficiency, transparency, safety, non-discriminatory access and competitiveness, in line with the Romanian and European applicable laws, and with the quality, performance, environmental and sustainable development standards.